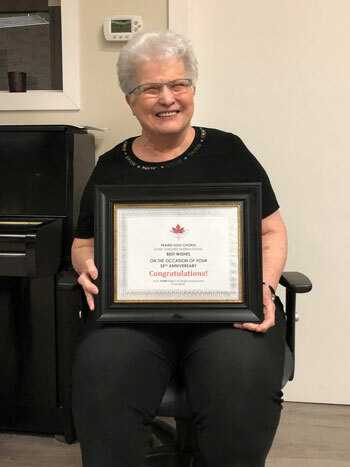 Located in the heart of the prairies and in Saskatchewan’s Queen City, Regina, Prairie Gold Chorus got its start in September 1981 with 12 women who loved to sing. 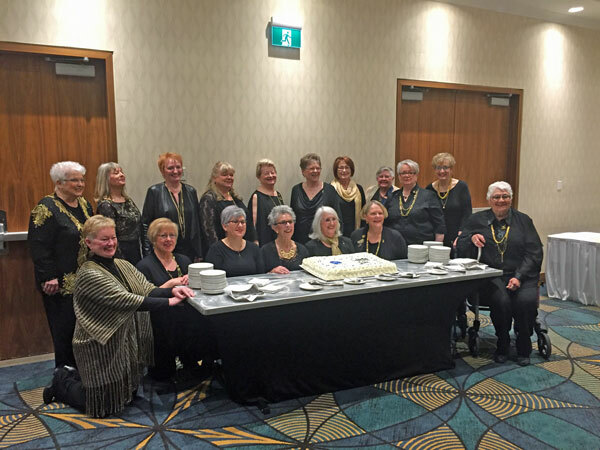 With the addition of 11 members in February 1983, Sweet Adelines International announced the official charter of the Prairie Gold Chorus as the newest small chorus in Region 26. 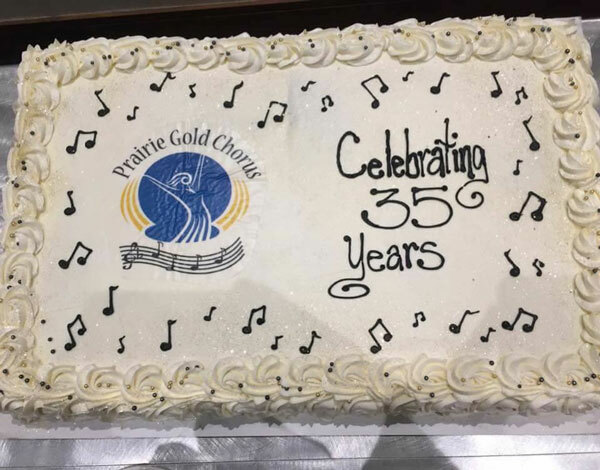 2018 has been a year of celebration as we mark our 35th anniversary. Since its inception, Prairie Gold has had remarkable success. In our very first competition, in Calgary 1983, we placed 2nd in the Region. That was the beginning of an incredible journey which has culminated so far in thirty regional awards, including ten 1st Place. Prairie Gold Chorus has twice been named the most improved chorus at the Region level. We have international accomplishments as well. 2000, San Antonio Texas: We placed 4th in the world and brought home Region 26’s first International chorus medal. 2003, Greenville, South Carolina: A single point out of first place, we placed 2nd in the world, bringing home our second International chorus medal. 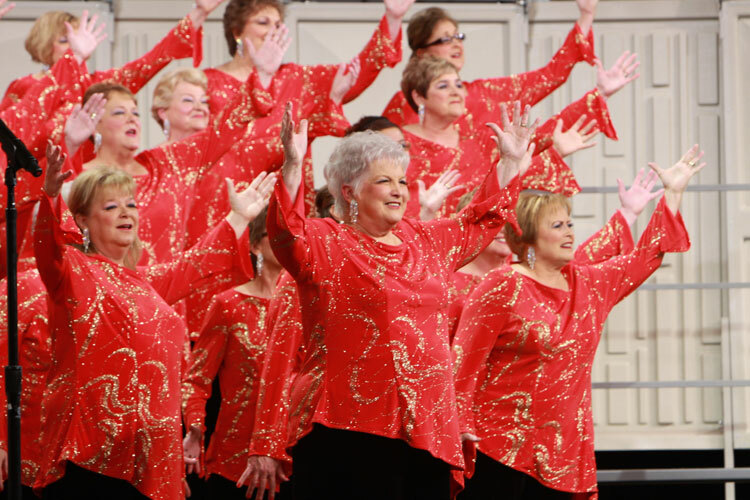 2009, Nashville, Tennessee: The chorus was bursting with pride when it brought home its third International medal, having placed 5th in the world.